Two years ago I hired a young man straight out of WyoTech Automotive Program to be my apprentice. 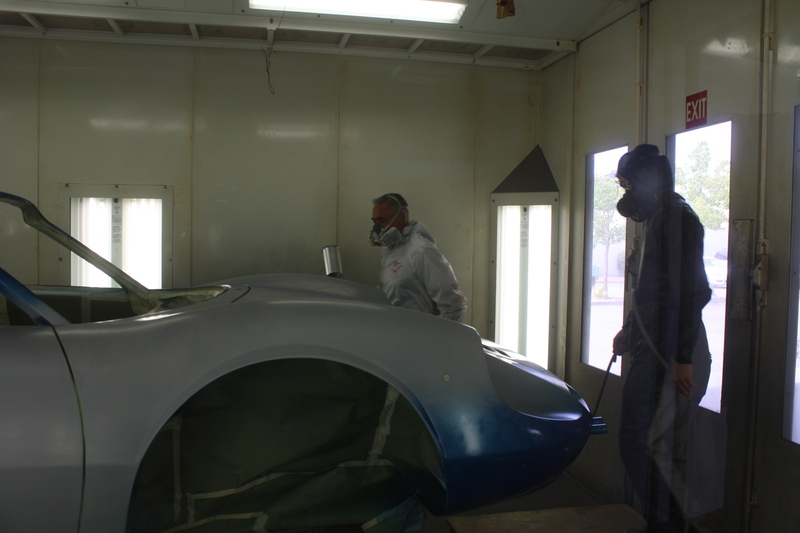 I guess I felt that at nearly 60 years old I wanted to be sure to pass on my techniques, experience, and “trade secrets” to someone who really wanted to know the craftsmanship behind body surfacing and the art of paint restoration. Beau Van Nornam has proven to be more than a fine young man. His work ethic mirrors that of the artisans of old who so loved their work… in two years he has never been late or called in sick! That has something to say about his upbringing I’m sure but it also says a lot about the type of man he is. He is a pleasure to work with and I couldn’t ask for a better right-hand man. 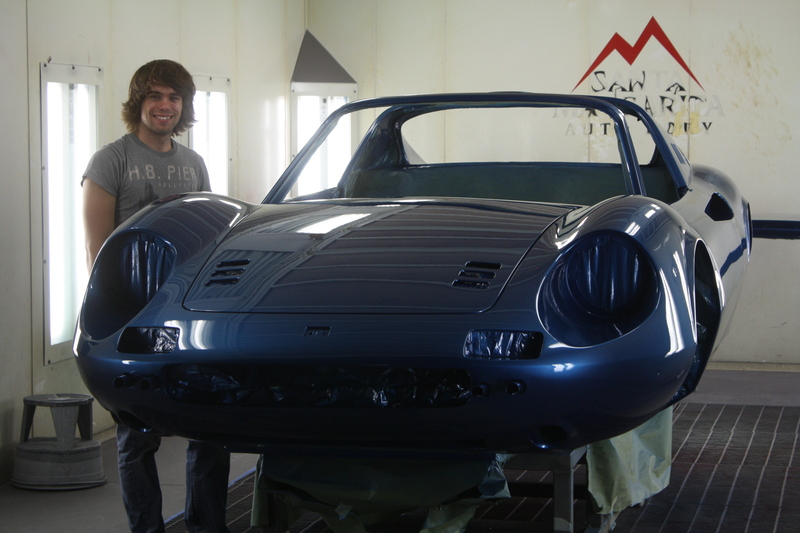 At 21 years old, Beau has great potential to be a top-rate surfacer and custom automotive painter. Keep your eye on this fellow! Congratulations Beau for two great years! … And hopefully many more to come!! 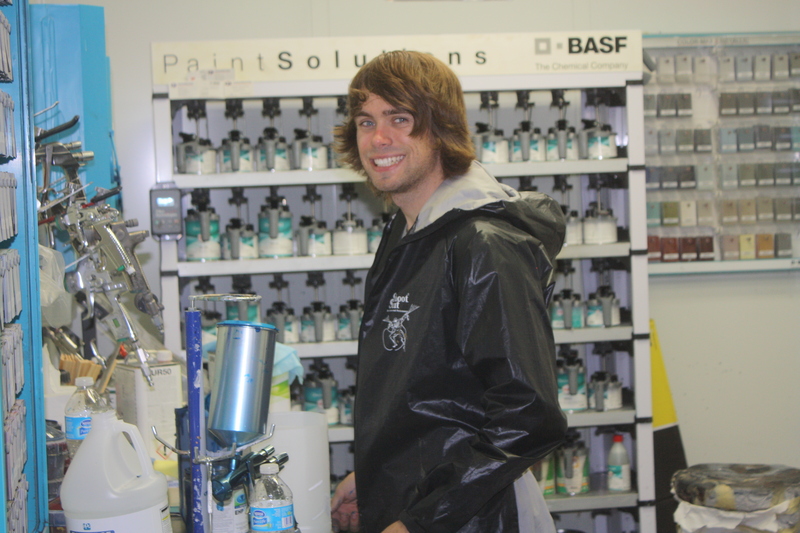 Beau Van Nornam prepping for paint. Beau Van Nornam… very helpful in the booth.